The key influential event for EURUSD has been the Fed rate hike. Today ADP employment data and the Non-manufacturing PMI data will be released in the US as well. 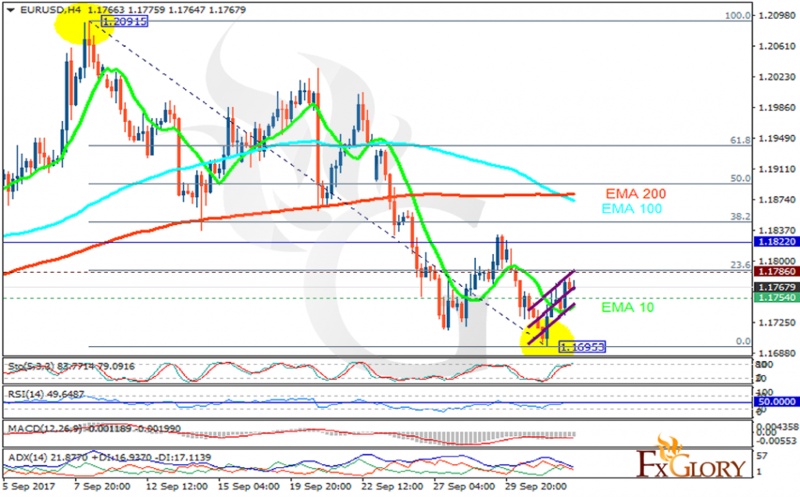 The support rests at 1.17540 with resistance at 1.17860 which both lines are below the weekly pivot point at 1.18220. The EMA of 10 is moving with bullish bias along the ascendant channel but it is below the EMA of 200 and the EMA of 100. The RSI is moving on the 50 level, the Stochastic is moving in high ranges and the MACD indicator is in negative territory. The ADX is not showing any clear signals. Long positions are recommended towards the 38.2 level of Fibonacci.